The Combo Beach Club is situated in a prime location at the heart of Chaweng on Samui island. It's an idyllic setting right on Chaweng beach, the longest and most beautiful stretch of sand on the island. The Beach Club is a newly constructed resort, which is short of nothing. They offer fresh, clean rooms at a reasonable rate, a large outdoor swimming pool, bar and restaurant, chill out areas aplenty, including an air-conditioned VIP room to dine. In the evening the venue can become one of the best party locations on Samui, with a raised DJ tower in the middle of the resort and an elevated dance floor, which really sets this place apart from all the others. Overall, the Combo 3 Beach Club is the perfect place to get any party pumping. 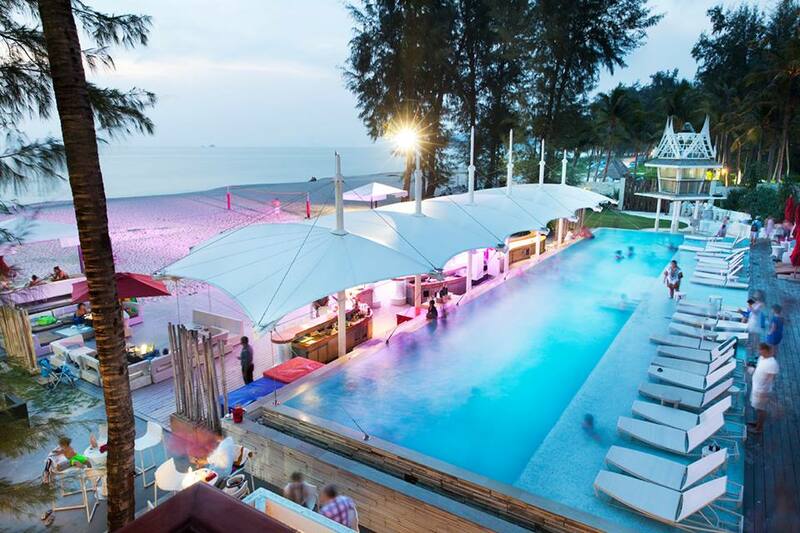 The Xana Beach Club is located on the beach of Bangao and on the grounds of Angsana Laguna, Phuket. This venue is an entertainment venue set in stunning surroundings with a beautiful beach and sea backdrop. Xana has activities day and night and with its large restaurant you can always enjoy a freshly prepared meal, a sumptuous spread of tapas, European food, Thai dishes, Mediterranean favorites and long glass of wine or a cocktail from the wide selection of exotic cocktails. A 35-meter pool makes up the main terrace which is right next to the beach. The Xana Beach Club boasts of having one of the best quality sound systems. During the day, you can expect Café Del Mar styled music and the tempo increases as the sun goes down to a more up tempo beat. The Ibiza Party will be held here with its own selection of DJ’s and performers. 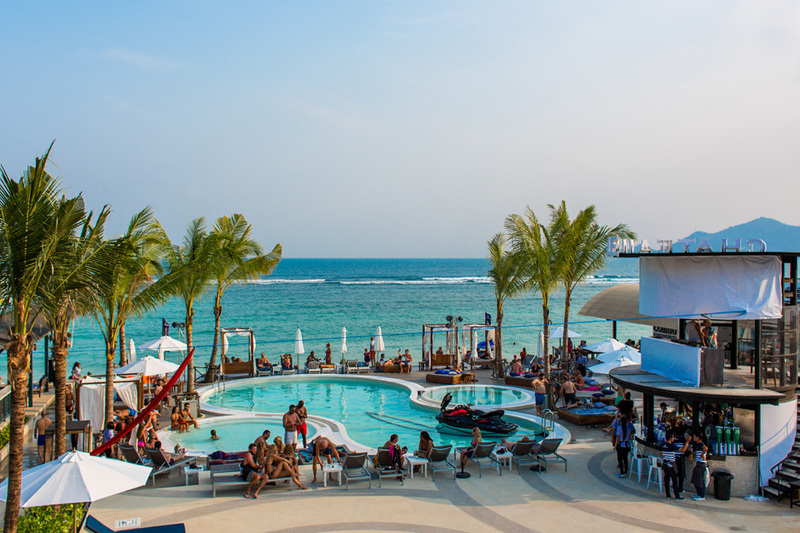 The Cliff Pool Club is one of the hottest places in Pattaya and is located in the internationally renowned destination of Pattaya. Set on the side of a cliff with spectacular views of the whole of Pattaya City makes a visit here a truly memorable experience. The Cliff Pool Club is a fantastic clubbing venue with a great atmosphere and scenery. 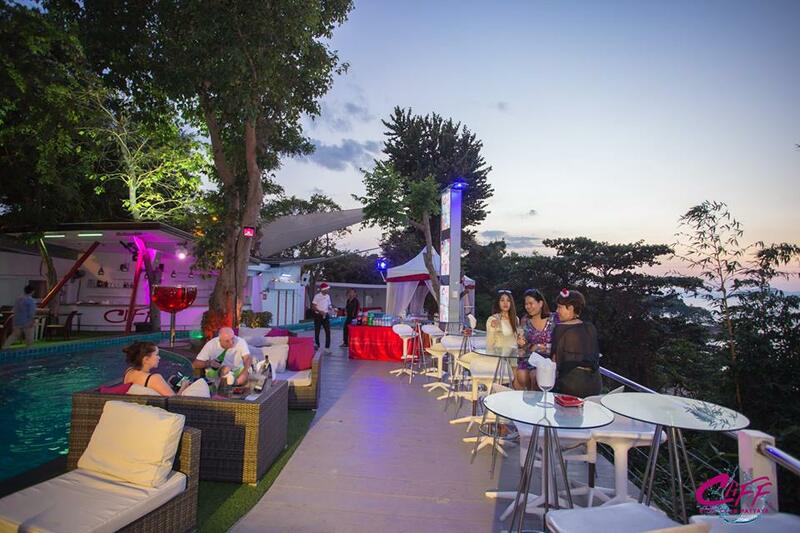 The Cliff Pool Club hosts a number of quality parties and will now host the Ibiza Party presented by Jacaranda Lounge. The pool meanders through the centre of the Club surrounded by places to sit or stand to enjoy the ambiance whilst drinking your favourite cocktails. A selection of easy to eat food will be available to purchase on the day of the party.